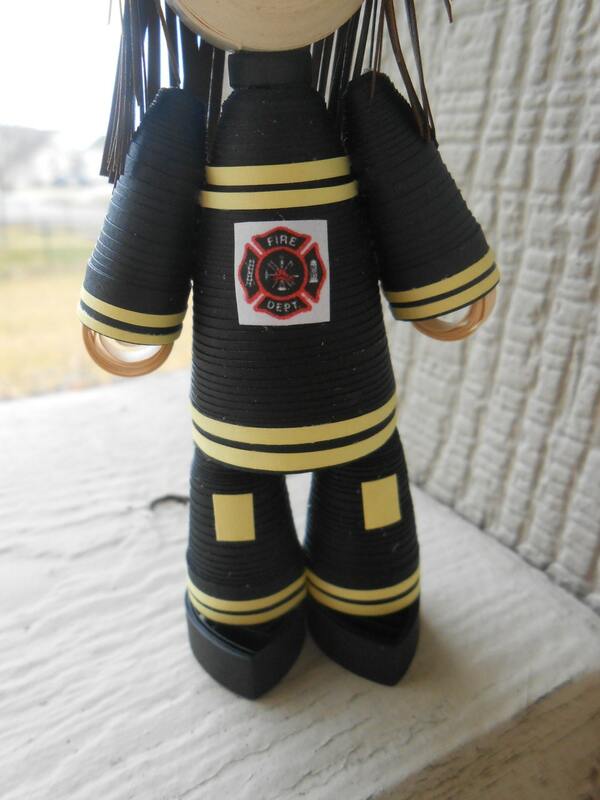 FIREFIGHTER Ornament. Boy or Girl. Paper Decoration. 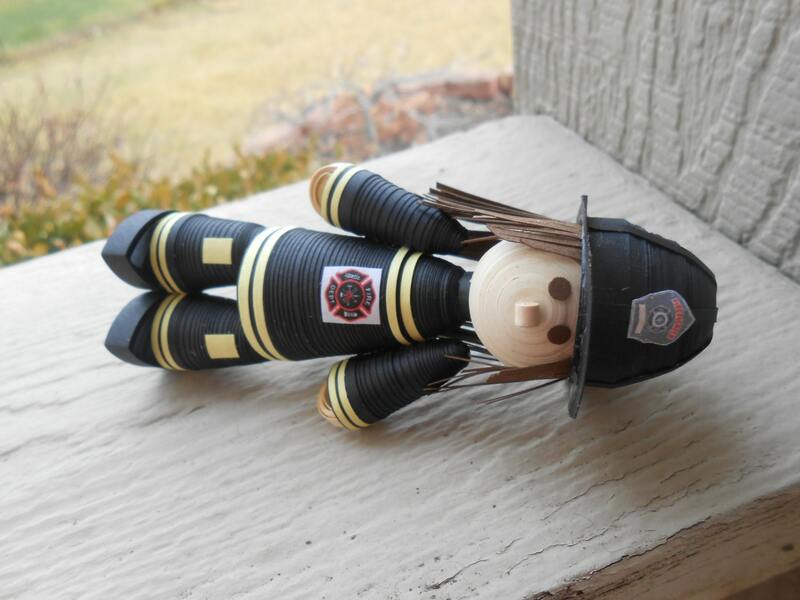 Firefighter Gift. Cake Topper. Unique Gift. CUSTOM Orders Welcome. 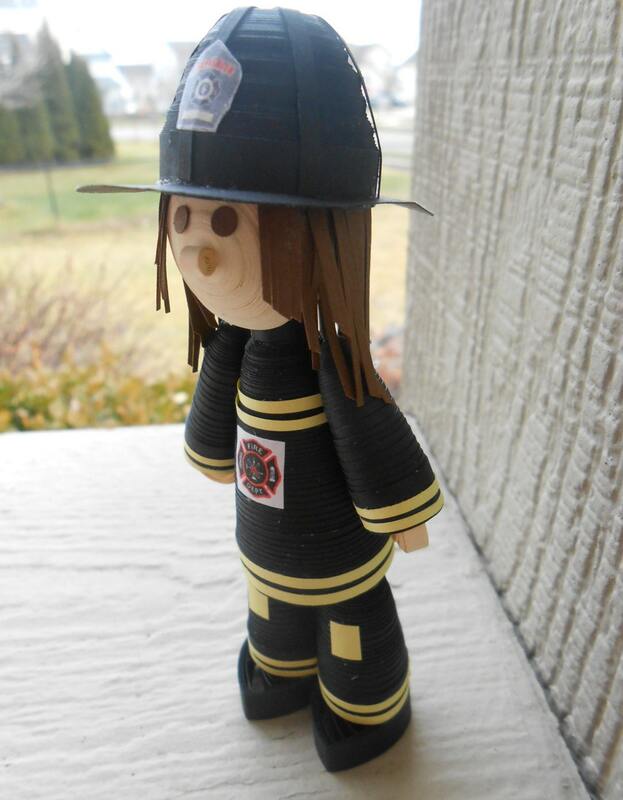 This little firefighter would make the perfect gift for a firefighter! You may choose to have a male or female. You may also choose to have a string on top to hang it on a tree. 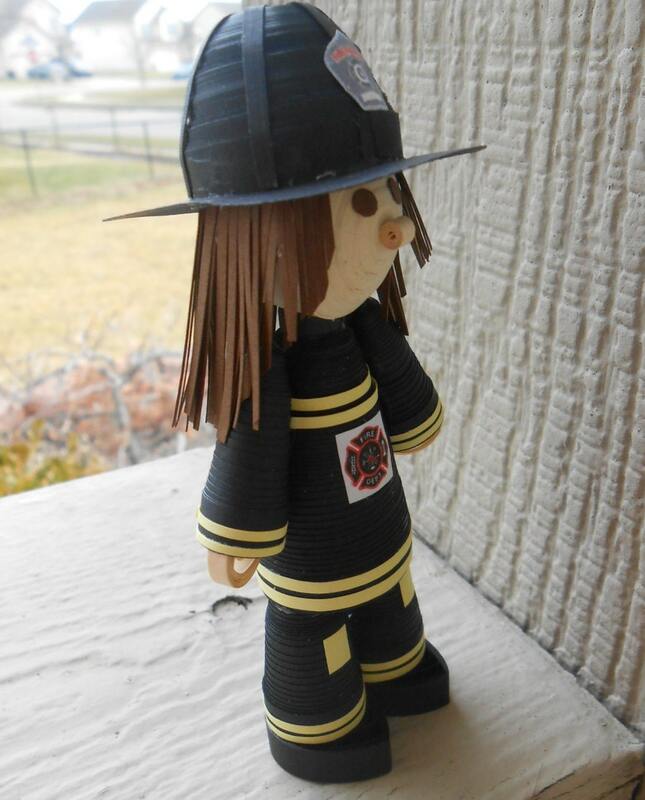 Every part of this firefighter is shaped from quilled paper. It is done in a black uniform, with bright yellow stripes and kneepads. 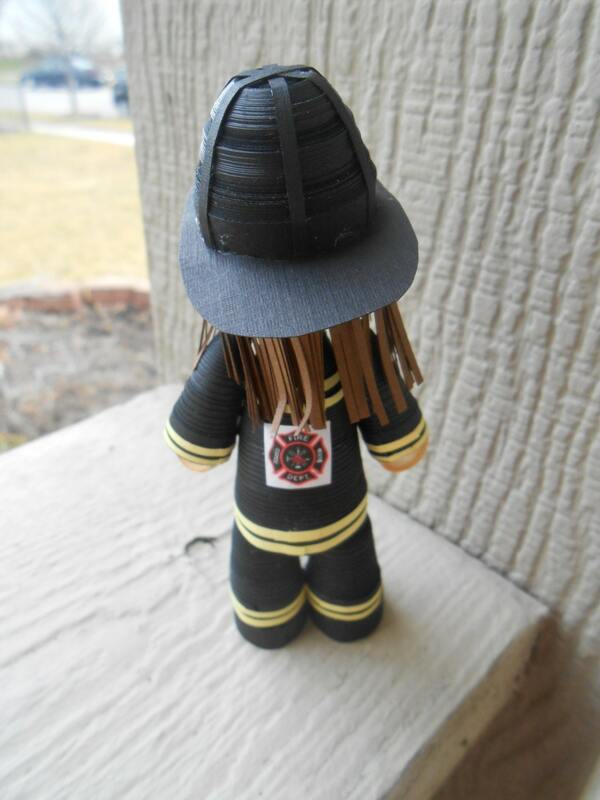 The figure has a maltese fire cross on the front and back, and a firefighter badge on the helmet. It stands about 4 inches tall. Quilling involves taking long, very thin pieces of paper and twirling and shaping them. It takes a lot of twirling to make these little guys, but they are so worth the effort! NOTE: let me know if you would like different color hair, eyes, or uniform. I can also do the hair shorter. ***Please allow me a few days to make one. CUSTOM ORDERS WELCOME! I can do these in any theme! A doctor, a nurse, a police officer, a teacher, etc.